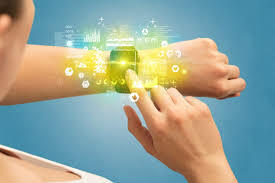 Digital health applications are recognized as having an important role to play in improving and modernising the delivery of healthcare services. Evidence on clinical, cost and implementation effectiveness will play a key role in facilitating the appropriate adoption and implementation of these innovations. Digital health applications offer huge potential for clinical trials because of their ability to collect and generate data as a direct consequence of use. By ‘digital interventions’, we mean a digital technology (hardware and/or software) that is used to support the delivery of health or social care. ‘Interventions’ include introducing or repurposing the technology for use by health and social care staff, patients and the public. Join the DH.L Evidence Generator Registry of Experts. We are establishing a registry of experts to include academics with expertise across a range of quantitative and qualitative research methodologies, not limited to clinical trials regimes, as well as skills in health economics and extraction and analysis of user data from digital applications. The registry will become a key resource for digital health evidence generation in London. The DH.London Accelerator NHS navigators and other staff members will actively promote engagement between the SMEs seeking to generate evidence and registry members with appropriate skills and interests to support them. They will make the contacts, set up meetings and help curate collaborations. As a result, registry members will be offered unrivalled opportunities to engage with the best digital health innovators in the capital and their cutting-edge technologies. They will have opportunities to develop impact case studies for the REF and to support students’ experience and learning on ‘real world’ issues, and to attend a rich mix of meetings, seminars and research speed dating events. If this is of interest to you, please complete the registration form using the link below. This should only take a few minutes.